Air Canada to launch flights to 12 U.S. cities; JW Marriott opens at Mall of America; and Grinchmas comes to Carnival. Here are the latest travel updates. 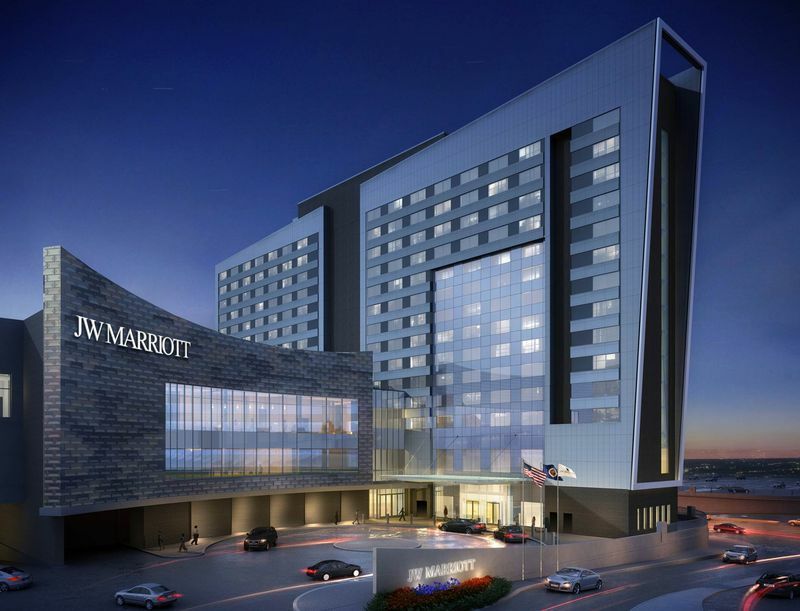 The JW Marriott Minneapolis Mall of America opened this week with 342 elegantly appointed guestrooms, a three-story lobby, and a ballroom that can accommodate 1,700 guests. The hotel is located in Bloomington, near the Minneapolis-St. Paul International Airport. Starwood Hotels & Resorts debuted a new brand in Algeria with Four Points by Sheraton Oran, which is positioned on a cliff overlooking the Mediterranean Sea for breathtaking views. The hotel features 170 guestrooms, including 20 suites, a 24-hour fitness center, Jacuzzi, rooftop pool, a spa, and a Hamam (Turkish bath). Sheraton debuted in South Australia this week with the signing of the Sheraton Adelaide, scheduled to open in 2019. The new property will be part of a mix-use development with luxury residential apartments, offices, and retail space. 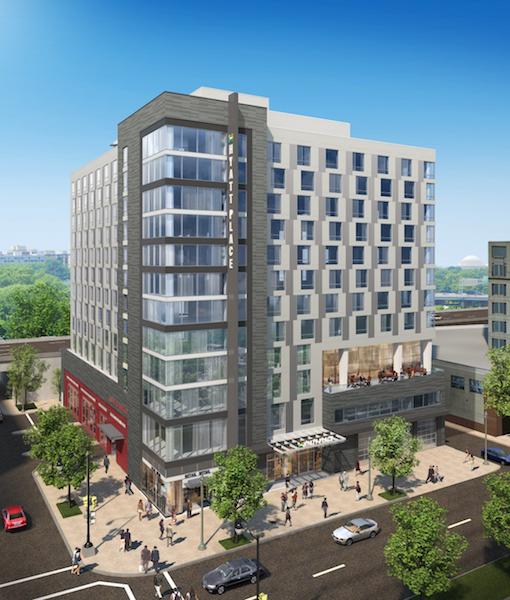 Hyatt introduced Hyatt Place Washington D.C./National Mall, offering accommodations within walking distance of the Lincoln and Jefferson Memorials, the World War II and MLK Jr. Memorials, and more. The hotel also boasts free Wi-Fi, an outdoor salt-water pool, and a rooftop bar and lounge with views of the Thomas Jefferson Memorial, the Pentagon, and more. Travel Weekly reports Accor opened Pullman Paris Roissy CDG Airport and Ibis Styles Roissy CDG Airport, both with 305 rooms, at Paris Charles de Gaulle Airport. InterContinental Hotels Group (IHG) opened a new-build, 35-story hotel in midtown Manhattan. Holiday Inn—New York City-Times Square is a short distance from New York Penn Station, Madison Square Garden, and other famous landmarks, plus a Rattle N Hum West Craft Beer Bar & Kitchen with 49 microbrews on tap. Crowne Plaza and Holiday Express announced a dual-branded hotel at Heathrow Terminal 4 in London. Crowne Plaza London – Heathrow Terminal 4 and Holiday Inn Express London – Heathrow Terminal 4 are slated to open in 2018 with direct access to the terminal and London Underground. Rosewood Hotels & Resorts announced the company’s first luxury tent and villa encampment, Rosewood Luang Prabang in Laos. Slated to open in 2017, the hotel will be a 10-minute drive from the UNESCO World Heritage Site Luang Prabang, be located in a natural beauty area with a meandering river and waterfall, and boast eight deluxe villa, six private pool villas, and five luxury tents. Each tent has its own private dining area and wrap-around deck. Travel Weekly reports that ClubHotel Riu Negril has reopened following a $20-million renovation of all 420 rooms, restaurants, bars, and public areas. The hotel also added new Asian and Caribbean themed restaurants, a play area for children, and an adults’ pool. Grinchmas comes to Carnival Cruise Line with the exclusive Seuss at Sea, featuring The Grinch who will be disrupt on-board festivities, steal various items from crew members, and participate in the end-of-the-cruise holiday show. Face-painting, arts and crafts, and showings of the live action and animated Dr. Seuss’ How The Grinch Stole Christmas will be shown on Christmas Day. Santa will also appear on board. Royal Caribbean International was voted “Best Cruise Line Overall” for the second consecutive year by the Food and Travel Reader Awards 2015. Food and Travel is one of Mexico’s top magazines. Royal Caribbean also announced that Oasis of the Seas will be receiving the first ever Tiffany & Co. free-standing boutique at seas. The store will be located in the ship’s Central Park and offer Tiffany jewelry, such as engagement rings and Swiss-made watches. Travel Weekly reports that Majestic Princess will sail in the Mediterranean in April and May 2017 on 7-, 14-, 21-, and 28-day voyages before heading to its new homeport in Shanghai. Oceania Cruises will be adding new programs and tours as part of its Culinary Center. The new programs will be introduced in December 2016 on Riviera, which will include a Cuban Family Table for traditional Cuban dishes; Patio Pleasures with professional grilling techniques; and Wake Up to Brunch for mastering egg cookery. Culinary Discovery Tours will feature local food markets, restaurants, vineyards, and cooking school with regional culinary experts in Honduras, Cozumel, and San Juan. Travel Weekly reports that Fathom cruises will offer conversational Spanish classes, helping passengers to communicate with locals in Cuba or the Dominican Republic. The cruise line will also have classes for merengue and salsa, dances popular in the Dominican Republic and Cuba, respectively. JetBlue Airways advises customers to arrive no less than two hours early to flights to Tampa International Airport (TPA) as terminal construction will create traffic delays in/around the airport, plus limited parking. JetBlue announced that unlimited streaming entertainment on Amazon Video is available on more than 150 aircraft with free Fly-Fi broadband Internet. Delta Air Lines announced it received four awards in Recommend magazine’s Readers’ Choice Award, including “Best Travel Agent Support” for the fifth consecutive year. Other awards included favorite airline in Europe, Africa, Asia, and Latin America. Air Canada will begin new daily non-stop service between four hubs and 12 U.S. cities. From Pierre Elliott Trudeau International Airport in Montreal (YUL), new service will land at Denver International Airport (DEN) on June 4, 2016; William P. Hobby Airport in Houston (HOU) on June 6, 2016; and Philadelphia International Airport (PHL; twice daily) on May 24, 2016. From Toronto Pearson International Airport (YYZ), new daily flights will launch to Salt Lake City International Airport (SLC) on May 27, 2016; Portland International Airport (PDX) on May 26, 2016; Washington, D.C.-Dulles International Airport (IAD; twice daily) on May 2, 2016; and Jacksonville International Airport (JAX; two-times per week) on May 21, 2016. From Calgary International Airport (YYC), new service includes Phoenix Sky Harbor International Airport (PHX) three times a week, which will continue from winter service; and San Francisco International Airport (SFO), starting June 18, 2016. Finally, service from Vancouver International Airport (YVR) will fly to Chicago, starting June 4, 2016; San Diego International Airport (SAN) on June 2, 20016; and San Jose International Airport (SJC; twice daily) on May 9, 2016.